Whether you’re in charge of putting together the family budget or are ready to take the reins on financial planning, make sure you’re not setting yourself up for some bad decision-making and financial regrets. Many people overlook some basic spending and saving practices that end up costing them much more than they anticipated by year’s end. If you’re determined to take control of your finances and keep your budget on track this year, you’ll need to watch for a few pitfalls and take your lifestyle, personal goals, and other factors into account. This is a common regret for people who end up starting the New Year with little to no savings. You can put together a solid savings plan now and look forward to watching that savings account grow within a few short months. 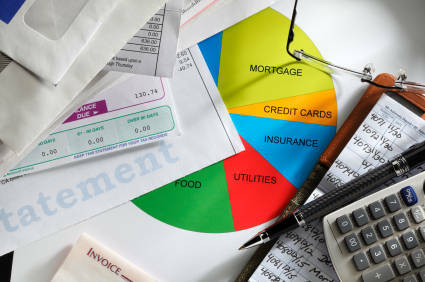 Make saving money a habit by including it as an expense on your budget worksheet or spending plan. Be realistic about how much you can save consistently each month and make it a priority in your budget. You can either set this figure by creating a goal savings amount you want to have by the end of the year and dividing that number by the number of months left in the year, or by setting aside a percentage of your income as a savings goal month after month. Whichever method you choose, you won’t end up with the regretting a lack of savings by the end of the year. 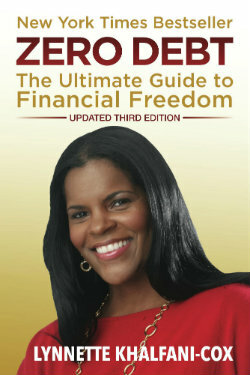 Saving money now will also help you start to build an emergency fund or cash cushion within a few short months. If someone in your household has a compulsive spending habit or you just can’t seem to stay within budget each month, it’s time to take action to address those spending activities. Overspending on a regular basis – whether it’s to support a social spending habit or a result of making small purchases regularly that aren’t on a list or in the budget – will catch up to you fairly quickly. Don’t regret making those bad spending decisions; instead make “conscientious spending” a top priority. What is conscientious spending? It’s being mindful about your spending purchases, knowing what you’ll spend money on in advance of doing it, and spending in alignment with your goals and values. So make a commitment not to buy on impulse, set a budget range for all shopping trips, and encourage family members to stick within a budget when they go out. Also, evaluate what you’re spending money on and consider whether or not your spending is actually tied to your values. For instance, if you say your kid’s college education is a priority – but you mainly just spend to buy your child toys, electronics and other gifts – divert some of that “gift” spending to more conscientious spending on his or her education. A good option is to open a 529 college-savings account and fund it regularly, as opposed to consistently spending money on toys and material goods for your child. It’s easy to become too comfortable making only the minimum payments on those credit card bills each month, or just paying the minimum on larger loans. However, you will start to feel the burden of that heavy debt load sooner than later, and may never get out of debt if you continue making only the minimum payments. If living a debt-free lifestyle is important to you, you can take action now to start paying down those balances quickly. Talk to creditors about lowering your interest rates and consider the pros and cons of transferring high-interest balances to a lower-interest credit card. You don’t have to worry about excessive debt when you are making an effort to pay off those credit cards and loans as fast as possible. And if you take the time to tackle your excess debt now, by the time the end of the year rolls around, being in debt is one less financial regret you’ll have.